Nick Castle’s 1984 sci-fi film The Last Starfighter, playing as the New Beverly kiddee matinee on Saturday and Sunday, July 1st and 2nd, is a film for obsessives of all stripes. But, further, it may be the very first “geek wish fulfillment” movie ever made. It’s been famously difficult for sociologists to point to where the phenomenon of the “geek” properly began. That is: The subculture (or perhaps, in the modern epoch, merely culture) of media-obsessed adults who, unable, unwilling, or simply uninterested in taking in the “big picture” of the world at large, have found themselves more comfortable looking more closely and intensely at one of its more artistic corners. To be sure, there have always been art enthusiasts, but the phenomenon of the modern overwhelming volume of people losing themselves to films, TV, and video games is a concept that only stretches back a few decades. We now have a generation of people out there in the world (and I am certainly one of those people) who have trouble communicating with others outside the purview of their media obsessions. Among the obsessive community (I hereby choose to shy away from “geek” and “nerd”), there is a common fantasy at work: If you are knowledgeable about film, know a lot about the stat-crunching of D&D, or can recite all of the original voice actors in all the anime films you have ever seen, those arcane skills will somehow – eventually and in a bizarre set of circumstances – reveal themselves to be useful on a grander scale. In your mind, however odd it will be, there will indeed be a life-and-death situation where knowing all about the career of Olan Soule will come in handy. 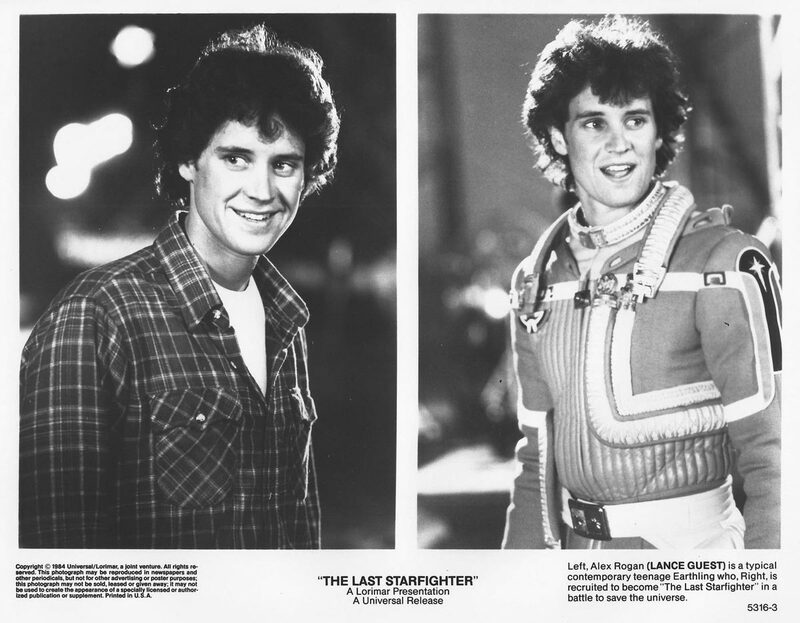 The Last Starfighter is about a young man named Alex Rogan (Lance Guest from Halloween II) who is an expert at a video game. He has spent many years fostering his talent at the old coin-op, stand-up video game Starfighter. In the eyes of the world – and perhaps even of much of the audience – Alex is wasting his time. The local kids admire what he can do – he has acquired a good deal of skill – but it’s not a skill that he will be able to apply to anything practical in his life. Being an expert Starfighter player will not feed him, land him a wife, or gain him any sort of social traction beyond the world of 10-year-old boys. Once Alex completes Starfighter, however, he is mysteriously approached by the mogul who invented the game. The mogul turns out to be an alien named Centauri (the last film role for multiple Tony-winner Robert Preston, The Music Man himself and performer of the best number in the sublime Victor/Victoria) who has been using Starfighter arcade cabinets as training modules for potential real-life starfighters in an ongoing intergalactic war with the evil Ko-Dan Empire. Alex is then trained in real spaceships – that look just like the ships from the game – and, over the course of the film, becomes a capable strategist and celebrity soldier for the Rylan Star League. Training, aliens, evil threats, and some rather fun-looking early GCI ensue. The Last Starfighter is one of the very first films to use CGI as a way of representing in-world objects, and not just computer objects. The Last Starfighter arrived in the post-Star Wars glut of kid-friendly sci-fi films and TV shows, reveling in a new filmmaking milieu based on special effects, old-world mythology tropes, and a new-to-exploit hit-all-demographics-at-once ethos that started forcing mainstream films into the the hands of younger and younger audiences. This meant that many new genre films throughout the 1980s began to deliberately pander to the fantasies of kids. Star Wars took the quaint, simplified stories from old sci-fi serials – usually enjoyed most fervently by young children – and wrote them large, ensuring that all little kids would be instantly hooked (Pauline Kael negatively described Star Wars as “like getting a box of Cracker Jack which is all prizes”). The Last Starfighter, following these new cultural cues, took a great deal of pleasure in telling kids that their love of video games had a legitimate function beyond entertainment. You are not wasting time and quarters. You, kid, are being trained to save the actual galaxy. It’s where our young minds were going anyway in 1984. The film merely confirmed it. 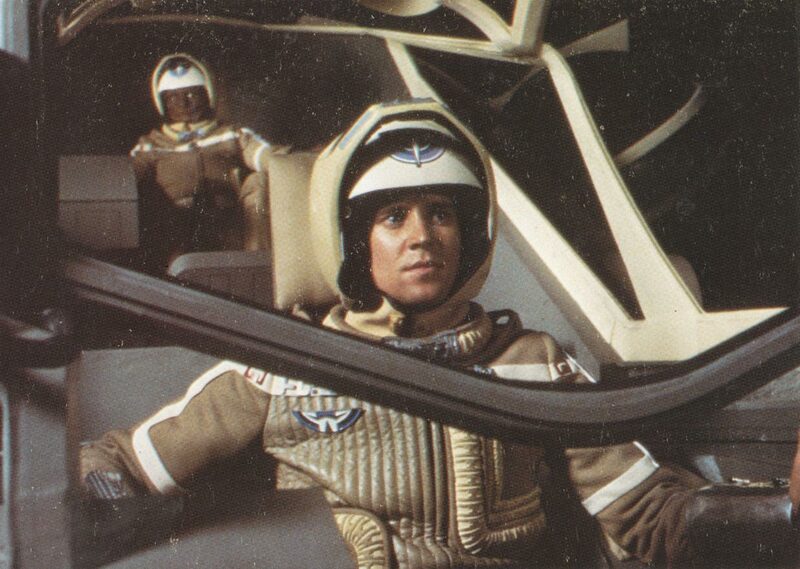 But The Last Starfighter, in being so rollicking, so much fun to watch, so efficient, and so pure-hearted, ends up reaching beyond the mere video game fantasies of kids in 1984. The wish-fulfillment drama on display begins to tap into something more universal, and, ultimately, something incredibly edifying for even the staunchest adults. It offers validation. It gives us a glimpse of something that kids still have and that adults may have lost sight of: optimism. In the mind of a child, everything you are doing is to prepare you for something great and fun and glorious down the road. As an adult, the grind of life may have worn you down a bit. The Last Starfighter is here to encourage kids to keep thinking that all their skills will one day be applicable to something amazing, and to remind adults of that time when they thought the same way. And even that they may still have skills that may still lead to something special. This does indeed function as nostalgia, and in modern America, nostalgia is certainly in no short supply. But nostalgia is no bad thing if you are using it to bolster your present self. To reinvigorate. And that’s the rare quality of The Last Starfighter. It seeks to do more than tell a rip-roaring tale of space warriors. It seeks to validate you and all you have done. Just in a fun, kid-friendly way. Director Nick Castle, previously worked extensively with John Carpenter, having played Michael Myers in Halloween, having co-written Escape from New York, and playing in the Coup De Villes with Carpenter. He directed a few quietly acclaimed dramas in the 1980s (The Boy Who Could Fly, Tap) before settling into a groove with broad, kid-friendly comedies in the 1990s (he directed Dennis the Menace, Major Payne, and Mr. Wrong). His last credit was on the screenplay for 2007’s August Rush, a little-seen musical drama. Some would say, however, that The Last Starfighter is his crowning achievement. Whatever else it may be, it’s certainly a great time at the movies.